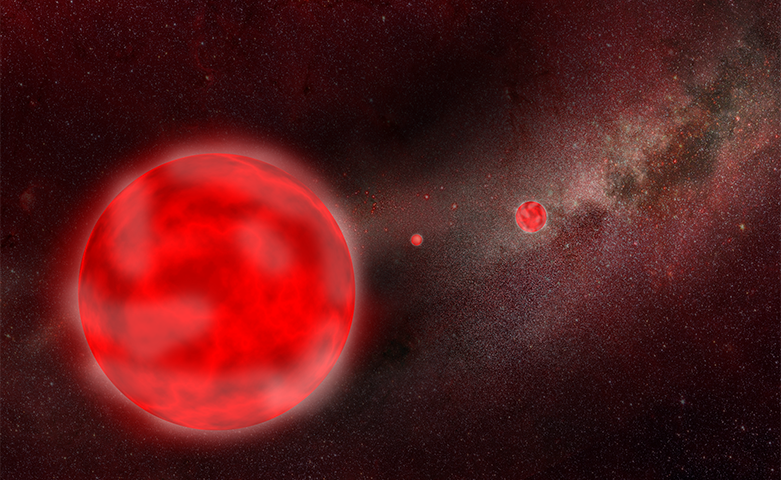 Astrophysicists from the Leibniz Institute for Astrophysics have discovered a group of ancient red giant stars which should be old but they still look young when their ages are inferred using asteroseismology. Experts says the stars’ existence can not be explained by standard chemical evolution models of the Milky Way, suggesting that the chemical enrichment history of the Galactic disc is more complex than originally assumed. The old ways of inferring the history of stars is called “Galactic Archaeology”. The term was used to describe the fact that the Milky Way’s history is not just based in the quantities of various chemical elements seen in the spectra of stellar atmospheres, as well as in stellar motions. While supermassive stars explode as supernovae — dubbed as core-collapse supernovae — they enrich the interstellar medium with oxygen and other elements, Type Ia supernovae is dwarf in nature, in the process, they produce the bulk of iron eventually die after long periods in time. However, the authors of the new study demonstrate that alpha—iron enhancement does not confirm that the star is very old. But now, we can accurately define the ages of stars thanks to asteroseismology. Using this new method, scientist concluded that this newly group of stars appears to be relatively young, despite being enriched with alpha elements — although they were found near the inner Galactic disc regions where the interplay between the bar and spiral arms may lead to a more complex chemical enrichment scenario. Although there were similar stars in previous surveys, they were not identified as such and only very few of them. This may explain why these stars have received little attention so far.